Locate VTS gives you Real Time Vehicle Tracking for your entire fleet. Locate VTS is an integrated child and school bus tracking and monitoring solution. Locate VTS help you keep fuel costs down and profits up. The anti-theft alert system offers maximum protection against vehicle theft. Locate VTS helps you to distribute your goods to destination in a shortest way. Locate VTS provides you Taxi Booking, tracking and display route to pick-up spot. Locate VTS gives you Real Time Vehicle Tracking for your entire fleet. The current positions of all your vehicles are overlaid on detailed Maps with vehicles current status. Locate VTS help you keep Fuel Costs Down and Profits Up.It helps fleets to Manage Fuel Consumption, Vehicle Performance, Driver Behaviour, Generate Reports and Scorecards on fuel costs. Locate VTS offers maximum Protection against Vehicle Theft. Visual warning signals attract the attention of passers-by and deter potential Thieves. Locate VTS helps you to distribute your Goods to Destination in a Shortest Way.It provides available Roots and Shortest one among them to the Destination. Locate VTS provides you Taxi Booking, Tracking and Display Route to Pick-Up spot.It helps you to increase your Taxi Performance. Locate VTS provides various rich customizable MIS reports in graphical and text formats. You can track your vehicle from your hand.Locate VTS Mobile Apps available in Windows and Android. 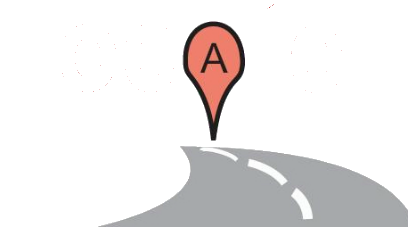 Locate VTS provides customizable SMS alerts regarding location,crossing geo-fence,destination etc. You can add unlimited custom locations.You can track your vehicle easily with your custom locations. You can set boundary for your vehicles.You can find how many vehicle available within and out-of boundary. Vehicle Management,Fuel Management,Lubricant and Spare Part Management,Tyre and EMI Management. is a technology driven Company and provides Innovative IT Products, Services, Solutions & Infrastructure to its Clients. © 2014 SEDOTS Info Technologies (P) Ltd.